Conventional linkbuilding wisdom holds that you should, if at all possible, try to get backlinks from as many .edu and .gov sites as possible. People attribute these domains with an almost mythical power, claiming that a .edu site backlink can be worth as much as ten .com backlinks. A string of links from a reputable .gov site is like the holy grail for a business, a golden ticket to the glory of the #1 result spot. This is all bunk. It’s all a terrible lie based on half-understood truths. Nonsense, they cry! Webmasters everywhere will tell stories of their sites, or the sites of people they know, who gained a .edu backlink and watched their ranking soar. It’s true, of course. 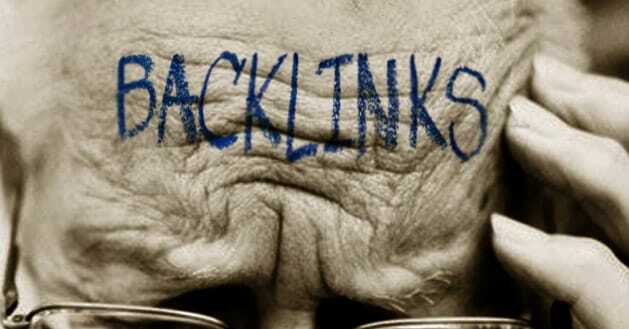 It’s a measurable phenomenon that a .edu or a .gov backlink can and will make your ranking rise. Why, though, does your ranking rise when you receive one of these links? It’s not because of the domain, that’s for sure. Matt Cutts has said it, and others will confirm, Google doesn’t treat .gov or .edu domains any differently than it does a .com, .net or .org. There must be some factor about these links that gives them extra power for SEO. Otherwise sites wouldn’t value them so highly. Thankfully, it all becomes clear when you take a moment to investigate the matter with a critical eye. The value of these links comes from something, but it’s not the domain. What is it? The answer lies in the process of registering a .gov or .edu domain. You can’t just go to your local domain registrar and ask for your very own .gov. You need to provide a mess of paperwork proving that you’re a legitimate government organization. The same goes for .edu domains; you need to be a legitimate educational institution to qualify for a .edu domain. It’s the Internet’s way of preserving the authority of these domains, and their trust. Users turn to .gov and .edu sites for very specific, very important purposes. If the information found on those sites is incorrect, spammy or leads to scams, it can very easily bankrupt a family or lead to drastic consequences. Therein lies the key to the puzzle. The link juice from a .gov or a .edu site is powerful because that site is a trusted authority. That site is recognized to provide value to its users; in fact it must, or face stiff consequences. Google recognizes that these sites provide value, regardless of their domain extension. You could, in the right situation, get the same link juice from a .info or .biz site. In fact, your goal should not necessarily be to get backlinks from a .gov or .edu site; it should be to get backlinks from highly rated, authoritative sites. 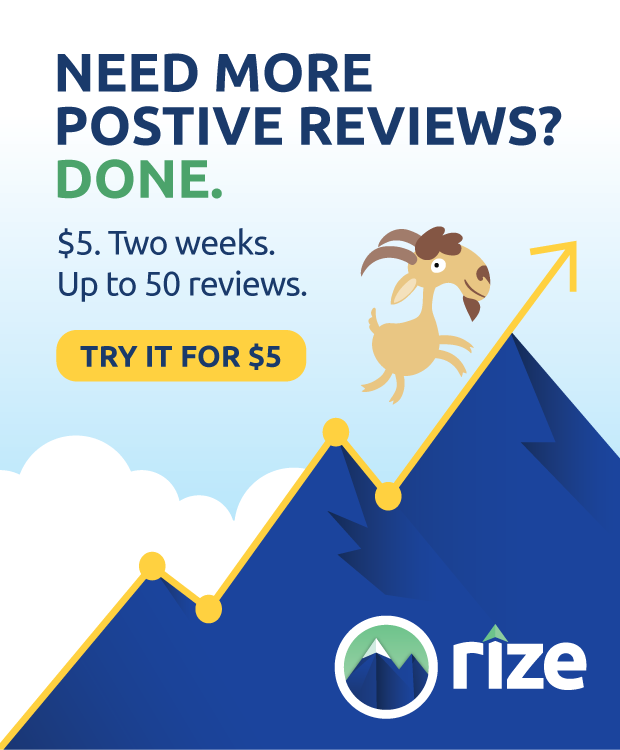 If the sites in your niche happen to relate to .gov and .edu sites, that’s fine. Go for those links. If you’re unrelated, and getting those backlinks involves posting in guestbooks and sneaking your link in unmonitored forums, you’re probably trying too hard. There’s another reason that .edu and .gov links are overrated. A small but notable black hat industry has risen around finding ways to include your followed link on these domains, with or without the domain really knowing about it. A link in the comments that happens to be followed may give you the juice, until it’s discovered. A link in the actual content of the site would be ideal, of course, but it’s not always possible. It’s entirely possible, however, that Google will begin to lessen the impact of links from these domains, for exactly that reason. The domain links are so sought-after that they begin to gain an association with spam tactics. The government and educational sites themselves will not likely be penalized, but the sites that try to force their links in very well may be. Chances are you’re spending too much time focusing on the narrow availability of .gov and .edu site links. The same amount of effort, refocused on searching for high authority links instead, can have a much better effect. Here are a few tips. • Stop worrying about the top-level domain of the sites you’re targeting. There are just as many .com sites with high authority out there, and many of them are much easier to get a backlink from. • Don’t try to shove an unnatural backlink into an authoritative site, particularly if you’re using unmoderated comments or other older techniques. One of the primary targets of the Penguin update series is unnatural links, and you don’t want your effort to go to waste. • Target sites in your niche for backlinks. If they’re .edu or .gov sites, fine! Relevant sites that include links to your content are valuable. It’s always good for your site when an authority, be they government, educational or commercial, links to your site. The keys are the authority and the relevance, not the domain. • Earn your links, don’t buy them. Paying for links is something that Google likes to penalize. You may be able to get away with it for a few months, maybe even years, but sooner or later it will catch up with you. Remember, Google is not showing any sort of favoritism to .edu and .gov sites. It’s simply a matter of the heavy restrictions on those sites, and the requirements they follow to remain authorities. The entities that run these sites – governmental organizations and educational institutions – have a responsibility to provide quality and value to their visitors. The welfare of their visitors depends on it moreso than with business sites, as businesses only need to worry about their own bottom line. 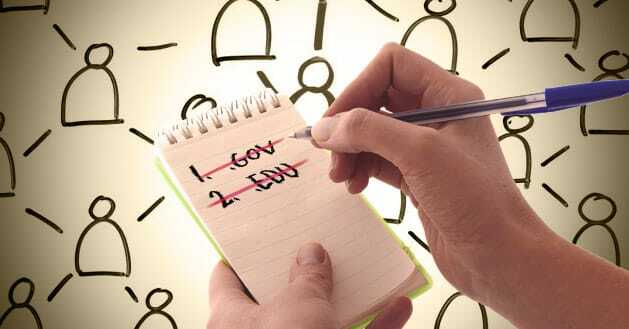 Will a .gov or .edu backlink help your site? Yes, almost definitely. Will that link be easy to get? Probably not. Chances are good that you’ll need to spend more effort and use worse tactics to gain those links than you would getting a link from a similarly-ranked .com site. The fad of focusing on these specific top-level domains is a distraction at best.